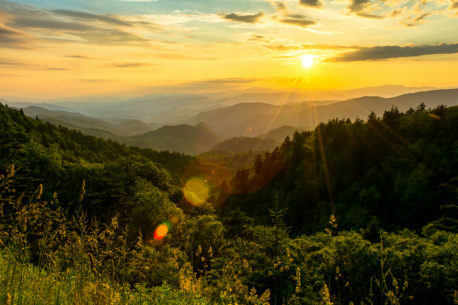 Follow the Blue Ridge Parkway from The Great Smoky Mountains toward Asheville until you get to the Woolyback Overlook. Woolyback is a lesser known spot along the Blue Ridge Parkway with one of the better views. It sits about a mile from Waterrock Knob, which is more than likely why it is missed. Woolyback is a great spot to watch the sunset, it has a great view of the Great Smoky Mountains and Cherokee, N.C. I was recently here for my Fathers Day trip and I was taken back by how beautiful this sunset was.